Bed bugs are some of the most common types of pest that property owners tend to encounter as it invades the comfort of their homes. Unfortunately, bed bugs are also some of the most difficult to deal with – such pests can be stubborn and causes much discomfort causing unexplained bite marks in the morning, itchiness and possible skin irritation. Don’t have the money to spend on professional pest control for your bed bug problems? Well! don’t despair because there are certainly a couple of home remedies that you can look into and deal with such a problem. Bed bugs typically inhabit furniture and use them as nesting areas. Moving and rearranging your furniture will certainly help. Keep furniture away from bed sheets, mattresses and wallpaper wherein the infestation can easily spread. Creating some space between your furniture is certainly a good start. Did you know that you can use baby powder to kill of bed bugs? It works in a similar way to diatomaceous earth piercing bed bugs with sharp microscopic granules and eventually suffocating them. Apply baby powder to the furniture and hard to reach problem areas and check on the results after an hour or two. Bed bugs don’t like water with that in mind try to put some bowls of water with vinegar on the bed legs particularly if you wake up with a lot of bedbug bites in the morning. Bed bugs thrive in damp and humid conditions hence in doing so you have created a barrier discouraging the presence of bed bugs under bed sheets or mattresses. With the bowls of water and vinegar in all the bed legs, bed bugs won’t be able to climb up and get to you at night. 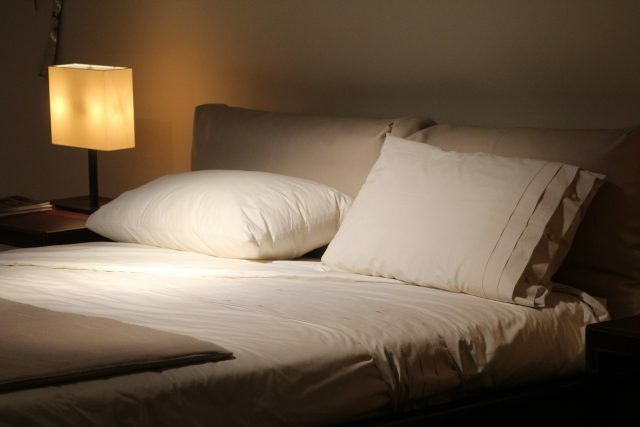 Carefully wash bed sheets and mattresses suspected to inhabit bed bugs. Use hot water and set your dryer on the highest temperature. Be sure to use an electric dryer as it produces the temperatures high enough to eliminate traces of bed bugs. With their aversion to water, bed bugs also succumb to too much heat. Try closing all the ventilation points inside your house like doors and windows for they don’t survive well under the heat. You can also fumigate your home by raising the temperature of your heater system or turn on the heating lamps in areas where the bed bugs live. After doing this go outside wait for 30 minutes before going back and clean all the affected areas with a vacuum cleaner. The remedies mentioned above will certainly help but only for light cases of bed bug infestations. If the problem is fairly extensive then it would be best to bring in the services of professional pest control experts. Pest exterminators have the knowledge and advanced pest control equipment to deal with just about any kind of pest management problem. More importantly, pest control service providers often go as far as guaranteeing the results of their services which ensures that you’ll definitely see an end to your bed bug problems.